The campsite Sunêlia Aluna vacation is a hosting solution for families. Of course, you can also make a booking if you are travelling with friends or with your friends or your lover. But if you're with your family, you will find what it takes for all your small clan members regardless of their ages. Indeed, in this outdoor hotel 5 stars you can find facilities, benefits or services intended particularly for large people like the Spa, for all facilities like the pool area or again facilities for children at the children's clubs. Know all about kids clubs. The children's clubs are made up of two large playgrounds. Your children will find their happiness. During peak seasons, 5 stars Sunêlia Aluna vacation puts at your disposal and your children three clubs play multilingual part of Sunny Clubs. Your children can go in one of these clubs based on their ages. It is the Mini-club for toddlers, the Junior club for those who have between 10 and 12 years old and the teenager club for teenagers. In each of these categories, the moderators and facilitators offer activities and animations suited to the age range of the children. Your little ones will be entitled to shows, workshops various etc. They may also participate in competitions or sports tournaments of all kinds. If you are traveling with kids or kids under 5 and more, you can entrust them to the children's clubs of the campsite Sunêlia Aluna holiday. You should know that the children's clubs do not receive your children to the day. Indeed, there are activities that are reserved for the mornings and the activities that are made for the afternoons. Between these two parts of the day, so a break there. So, you can choose a part of the day to spend with your children. 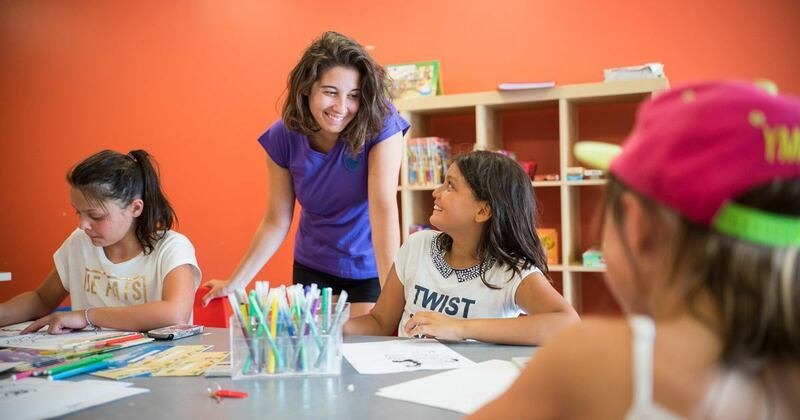 The children's clubs of the campsite 5 star Sunêlia Aluna holiday regardless of the category, are still managed by people who tend to stay with the children. Indeed, the staff consists of people passionate about the activities with the children. They know what to do with children. In addition, send your kids to the children's clubs will allow you to have moments of respite just for you. You can choose these moments to relax relaxation, well-being and spa space. You can also take advantage of these opportunities to meet face to face at the restaurant or in a romantic corner of the campsite with your or your spouse. For your children, find themselves in one of the children's clubs is an opportunity to make new friends. They will learn to communicate with others, or to share. So you can be reassured that on the return of the holiday, your children will have learned many things. Everything to enjoy your holiday! The campsite clubs welcome all children as from 5 years.